Nintendo and RPG fans can now get a peek inside the Xenoblade Chronicles 2 Official Artworks Alrest Record. 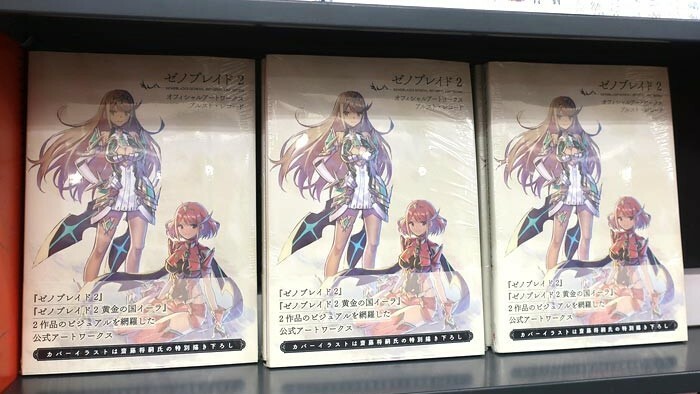 The artbook is now out on Japanese shelves, and Akibablog has shared several shots of its contents. From what we can see, the 352-page tome will contain official artwork, concept artwork and some never-before-seen illustrations. Additionally, there are several Japanese-only sections, such as an archive of all the battle phrases in the game! Xenoblade fans can grab this beautiful artbook for themselves on Amazon Japan over here (ships internationally).